Holland fan in Johannesburg, originally uploaded by Bednarski Media. 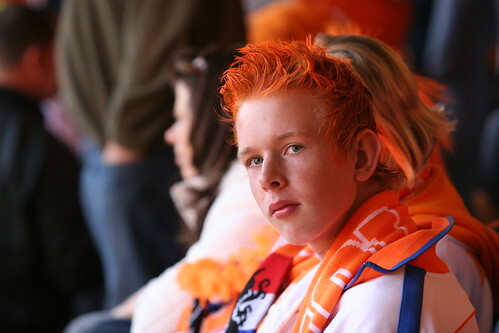 A young Netherlands fan at his team game vs Denmark, June 14th, 2010 during World Cup 2010 in South Africa. Soccer City, Johannesburg.